Britt O’Hagan, one of the urban designers from the city who is assigned to handle the redevelopment of the “Four Corners” (The intersection of South and Colborne Streets) and the “South Street Promenade” (Between the Four Corners and Wellington) recently joined us at our last meeting to give us an update on the project and to invite us to provide input on unique lampposts which will be installed in this area. We’ve been asked to provide a colour preference for the lampposts. At the meeting, we narrowed it down to four options and are leaving it to SoHo residents to make the final decision. 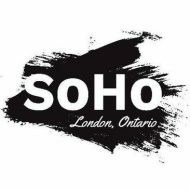 We have created a survey, the results will be endorsed by the SoHo executive and forwarded to Planning Services. Editor’s Note: The survey has now closed. You have chosen Dark Forest Green as the preferred colour. Thanks for participating!